Hello, Nikephoros checking in. Remember in my older article about how to playtest for 6th Edition in order to better figure out what is and isn’t competitive? My advice was to start out playing your 5th Edition lists and slowly make minor tweaks from there based on in game results. I, for one, am thankful that everyone listened to that advice, and reacted to the new ruleset rationally! Oh wait. I admit I am guilty of bloviating on theory based opinions rather than empirical playtesting, thus feeding the noise machine that the 40k blogosphere has been for the past two weeks. So sorry. In any event, most of us have by now played some number of 6th Edition games and the results of actual gameplay are starting to trick in. Once again, a new wound allocation system has breathed life back into everyone’s favorite: the deathstar unit. To keep it short, we killed these for the most part in 5th Edition by shooting them to death in short order with the same guns we were shooting tanks with, at long range. Unfortunately, many of the commonly brought weapons no longer inflict Instant Death on the deathstars, or ignore their Feel No Pain saves. Since the old plan of shooting krak missiles at them until they are dead is gone, these blunt instruments of terror apparently are running amok yet again. Let me make a bold prediction that you can laugh at me in 3 years if I’m wrong: we will, eventually, find a shooting based, balanced solution to the deathstars. Weapons they will make short work of them, but also have game vs. light mech/infantry etc the way missiles did in 5th. I am more than confident in that result. That, however, is the future. Now is now. And players today don’t want to lose games to Draigo and Pals or Nob Bikerz. The following is going to appear really basic, but in fact most of these lessons from early 5th have been unnecessary for so long, and 5th Edition so old, that many newer players might have missed out on it. A guy who started playing 40k in late 2010 with a Space Wolf army probably never had to deal with Nob Bikerz any other way than krak missiles, if he had to deal with them at all. So that player might benefit from some ‘basic’ lessons, I hope. Deathstars cannot charge on Turn 1, except in incredibly rare circumstances. This means that even under the best circumstances, they can only kill 5 units per game, assuming you deploy properly and maneuver in such a way as to avoid multi-charges. When you’re playing some 8 kill point high value unit army you might think that 5 dead units is a super big deal, but when you’re playing an 18 kill point msu/hybrid army 5 units isn’t a super big deal especially when you control what the deathstar eats with maneuver and road blocks. 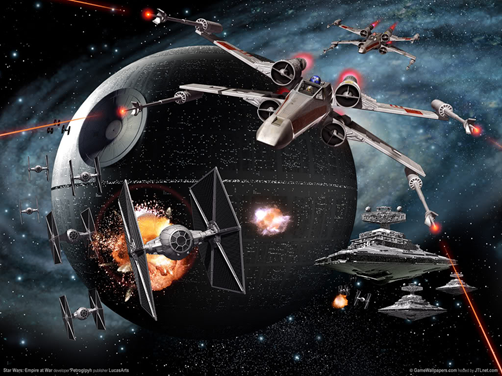 Besides from wargamming in generally rewarding MSU strategies, the ability to neutralize deathstars was one of the reasons deathstars began to decline in 5th. Until you can Sweeping Advance into a fresh close combat, these incentives will remain. Even the killiest deathstar can be tarpitted. In my past few games of 6th, I’ve been guilty of using 10 terminators and Librarian in my list. This is for sure a ‘deathstar’ itself, but when it is opposed by a Draigo unit that is almost double its point cost, it isn’t so scary. But it can buy time. Sure, the fully equipped unit of Paladins and Draigo will kill them all, but it will take two full game turns. In a 6 turn game, especially since they don’t usually charge until third turn, that’s game boys. Some army’s best bets are feeding them throwaway speed bump units like empty transports or cheap troops. Others have the right units to tarpit. If you can tarpit them with a fearless unit or resilient unit, you got them solved. If they spend 1,000 points on a unit, and you tarpit it with a 300 point unit all game, you’re far, far ahead on board position. Attack their Leadership. Not all deathstars are Fearless. The ones that aren’t can be tank shocked with empty transports. Eventually, they will fail a test, and run. Even if they reform, you cost them a turn plus the distance they fled on board position. There are a lot of nice new magic spells psyker powers that manipulate Leadership or strip Fearless. These exist, use ‘em. One, or a combination of multiples, of those methods ought to work for whatever army you have. I’m sure you clever commentators will have even more to add. Hopefully these tactics will help overcome the resurgent deathstar menace until a brute force, shooting based solution is developed.